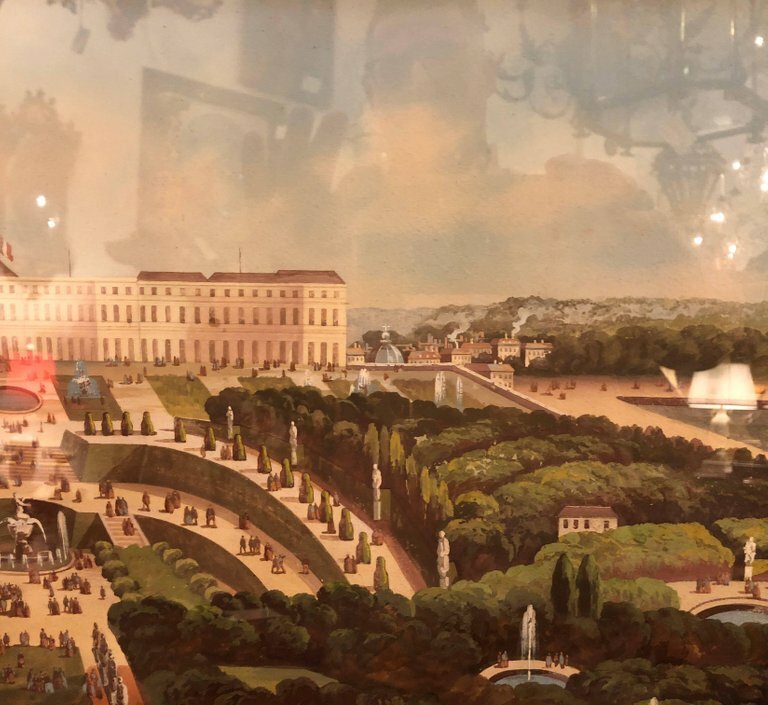 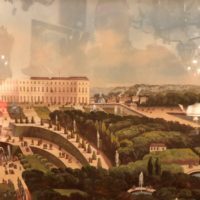 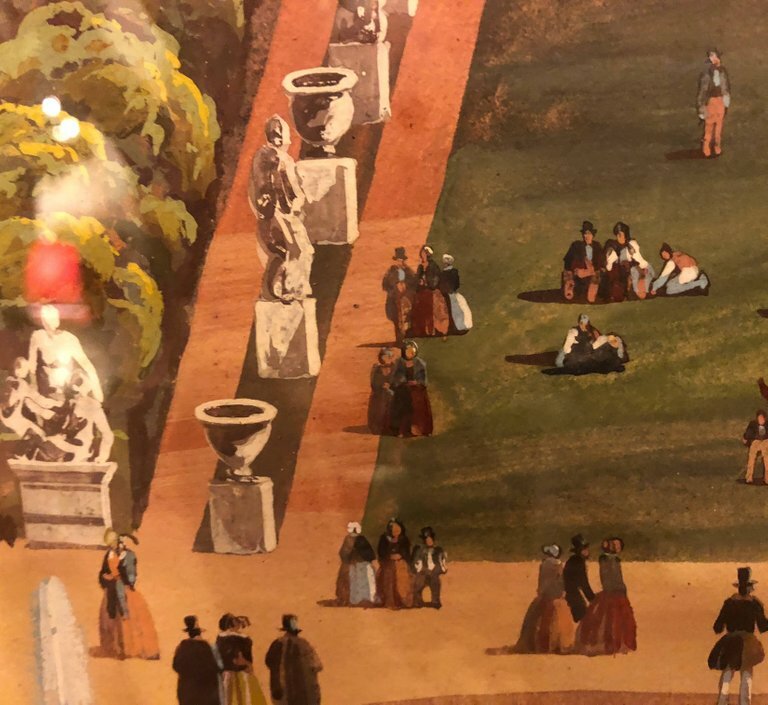 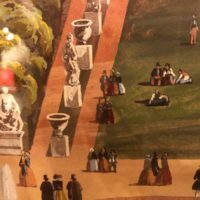 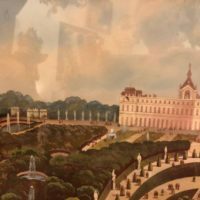 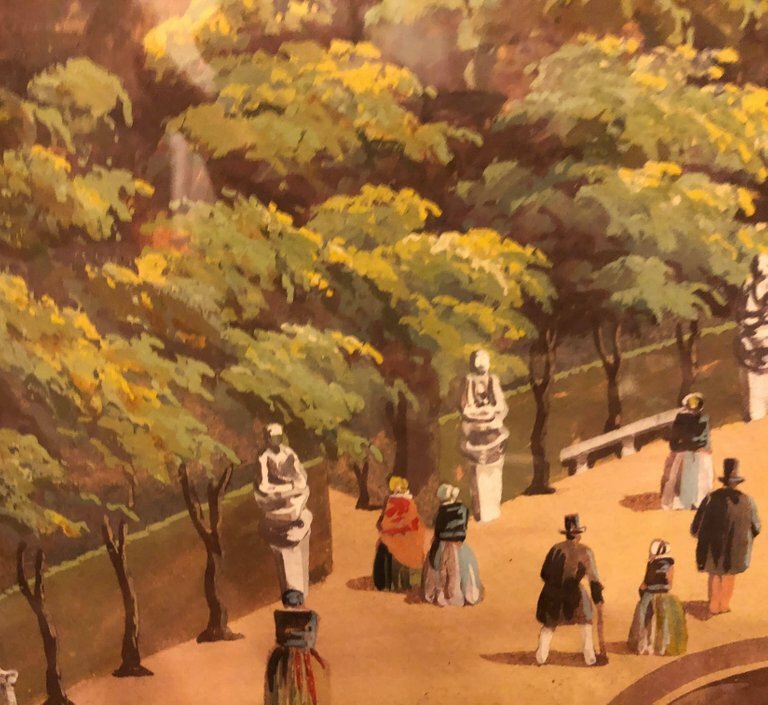 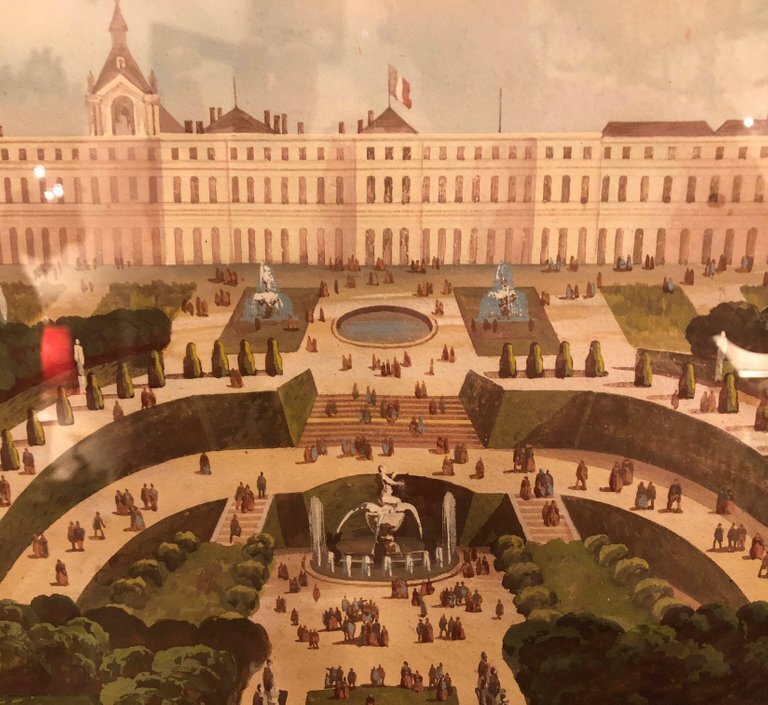 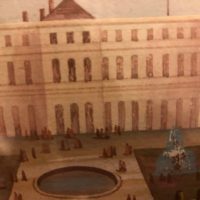 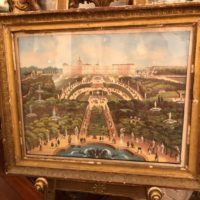 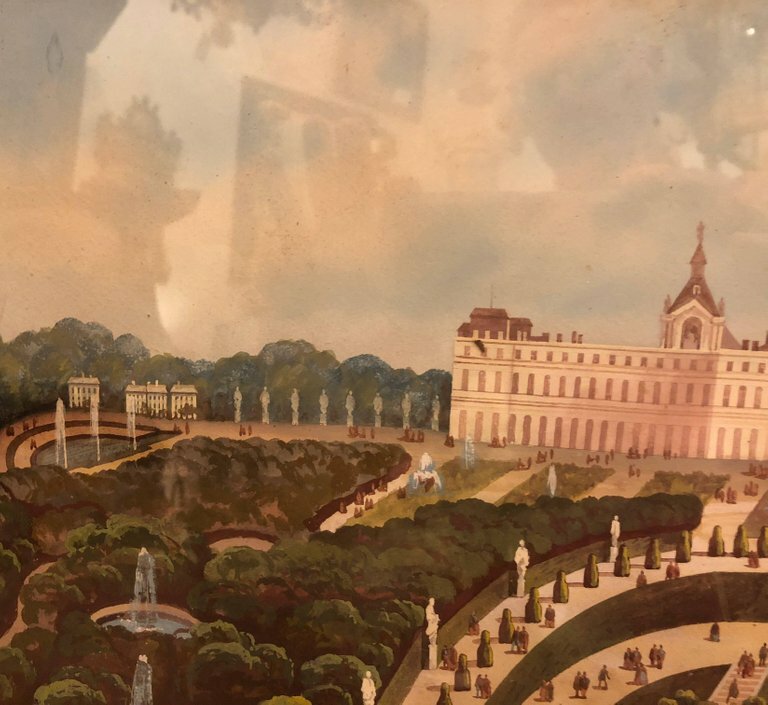 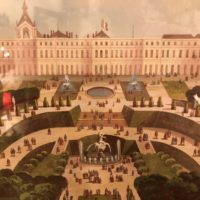 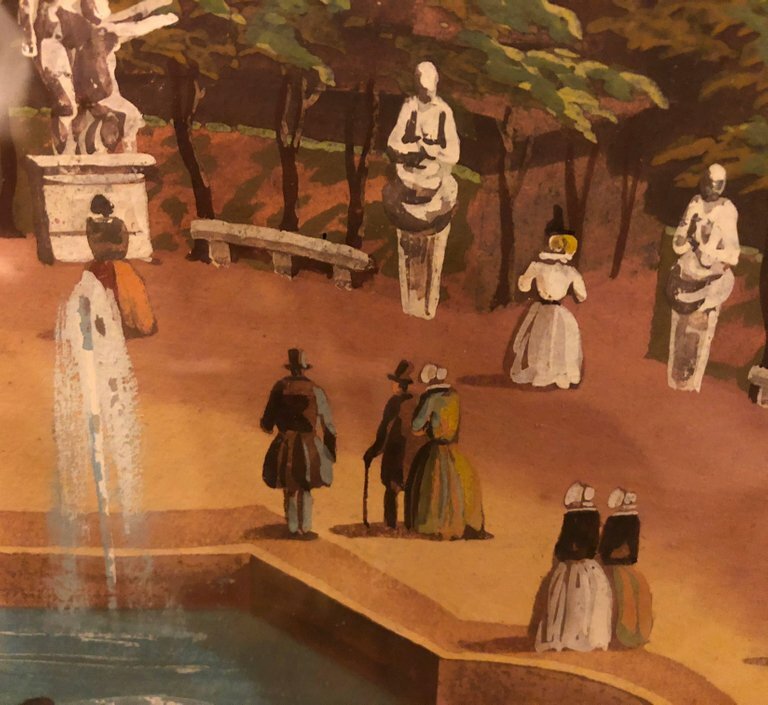 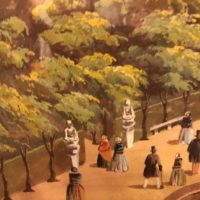 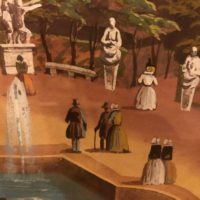 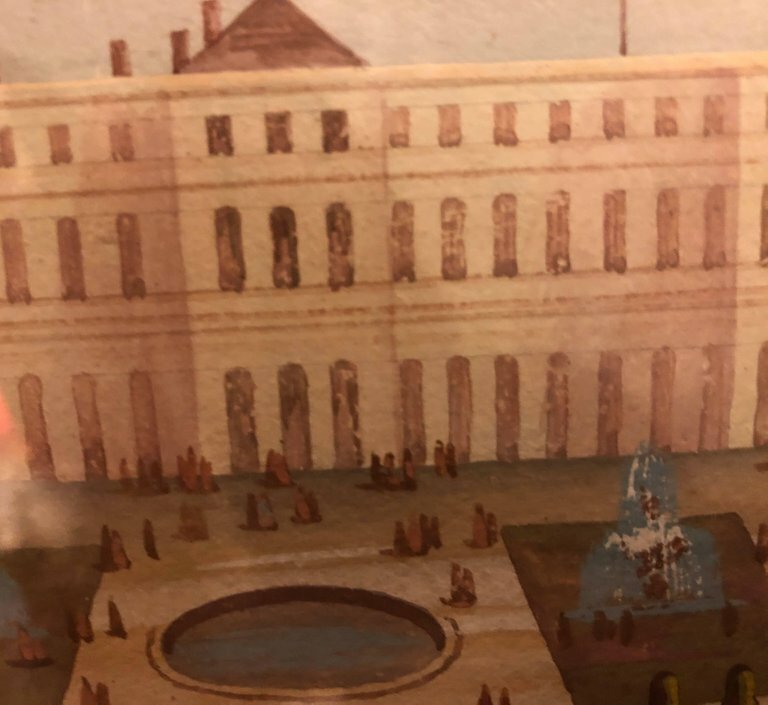 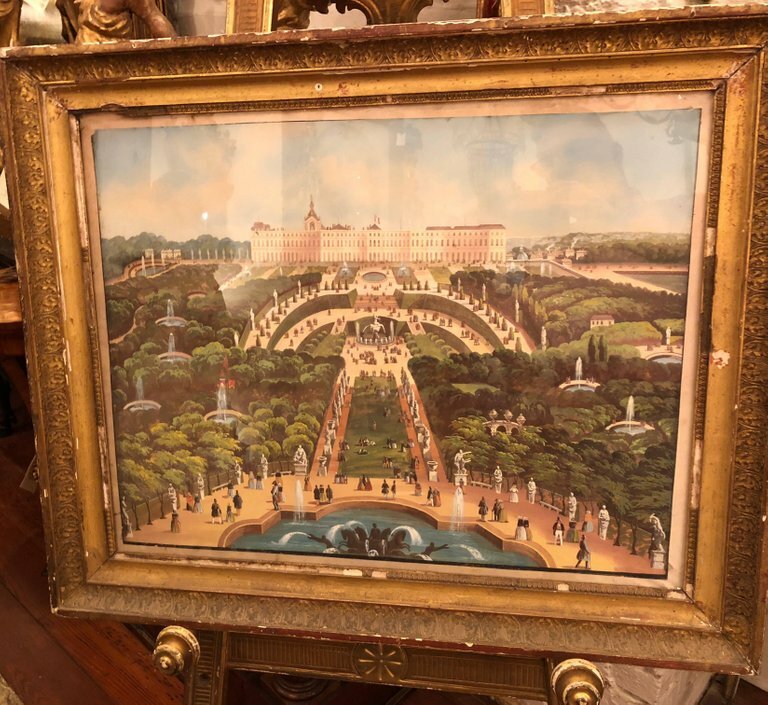 French 19th century Gouache of Versailles and gardens. 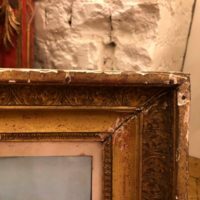 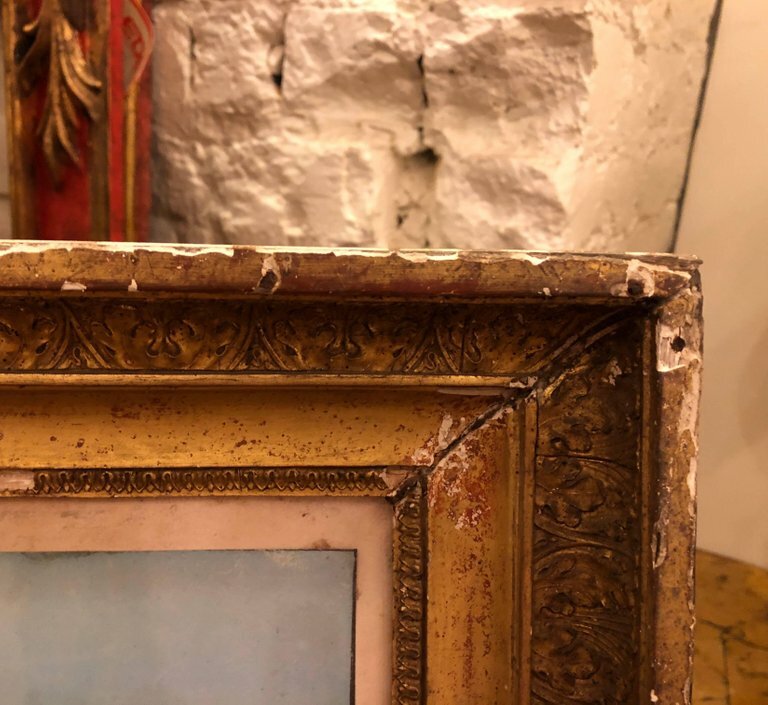 In frame of same period. 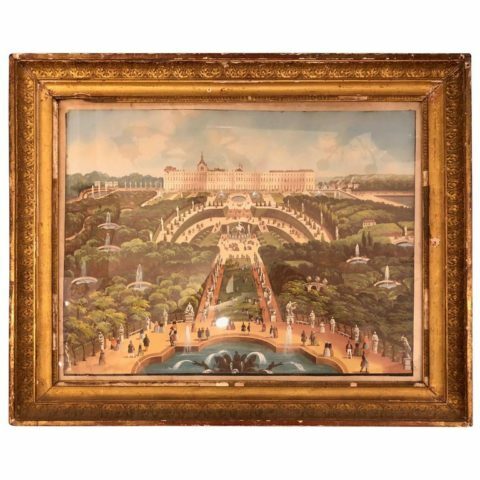 Exceptional detail in a slight naive style.